Pigs are versatile foragers that can survive on scraps and require little maintenance. 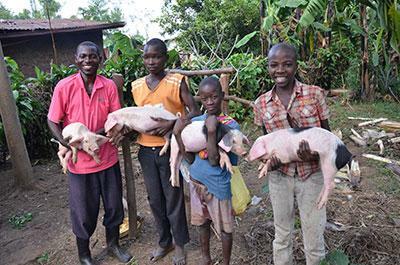 One pig is an abundant source of food and income when sold. They are even capable of producing up to four litters in a year! Note: All gifts toward livestock funds will be allocated to individuals and communities with immediate needs, according to standards that maximize efficiency and impact.